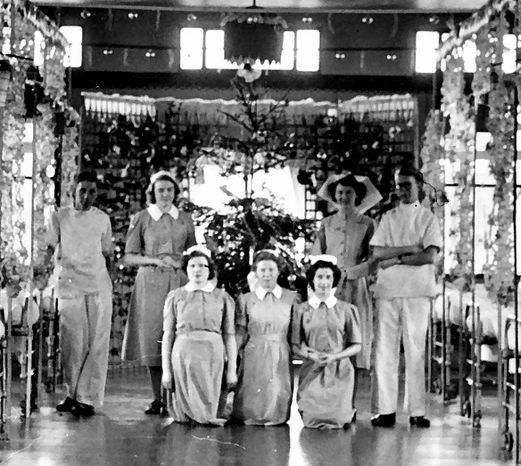 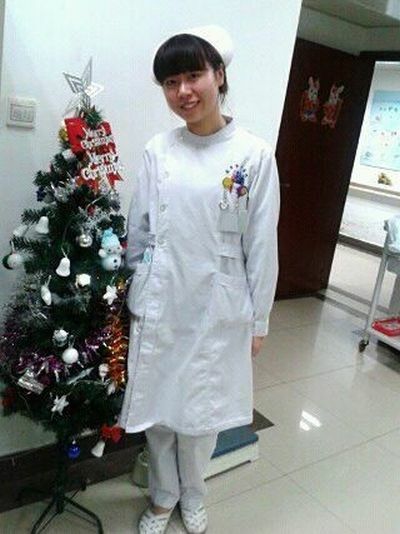 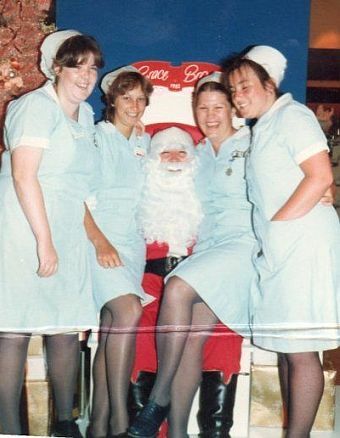 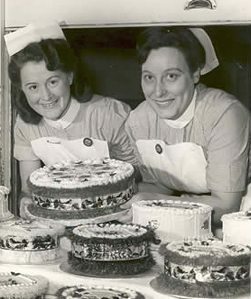 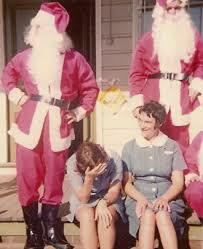 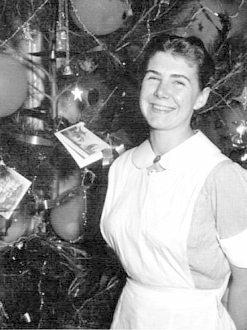 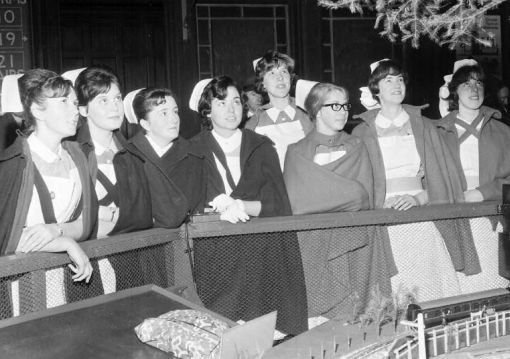 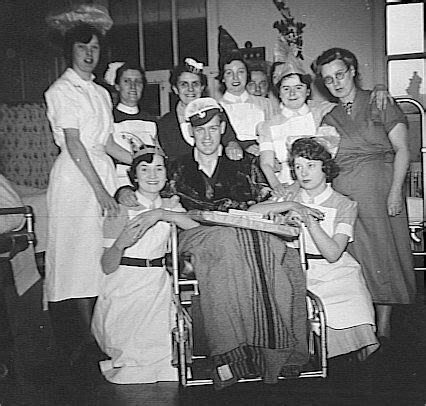 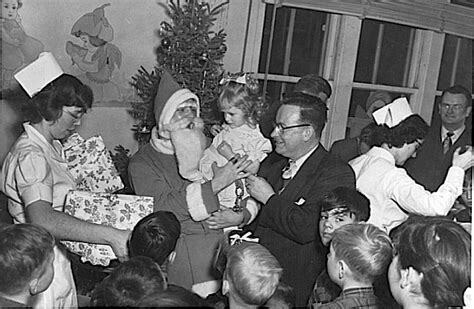 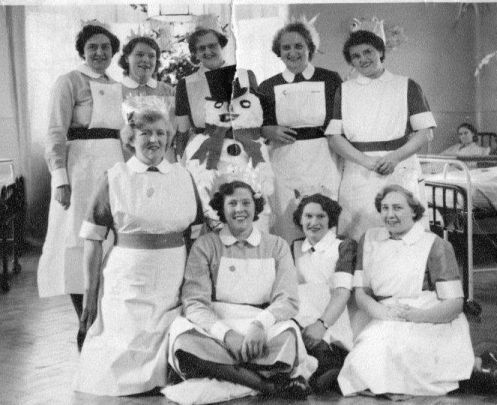 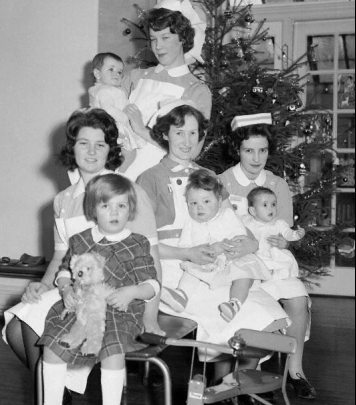 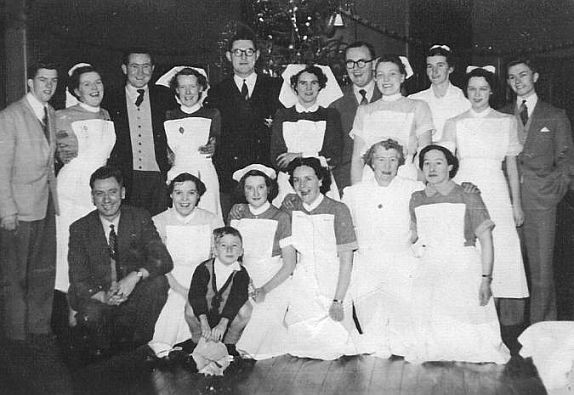 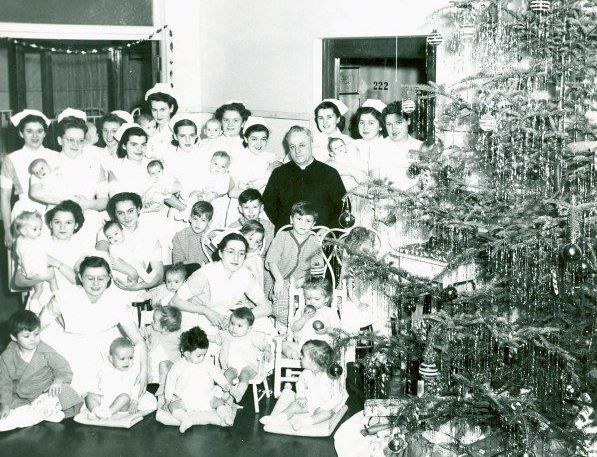 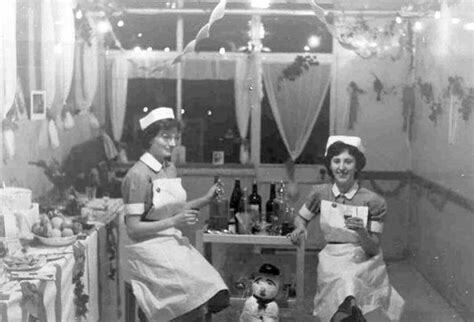 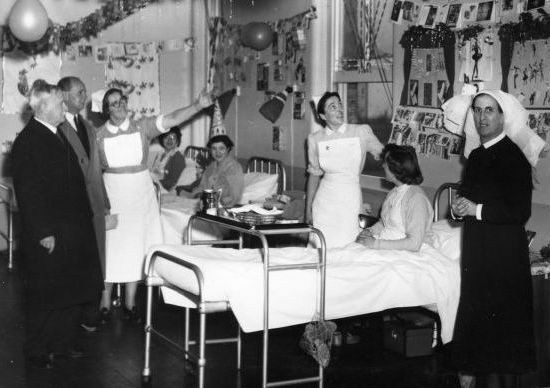 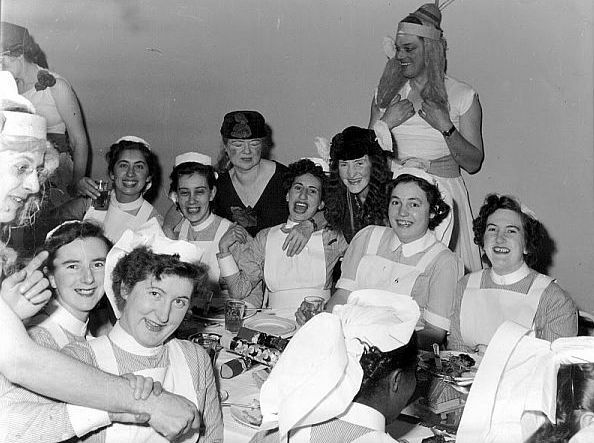 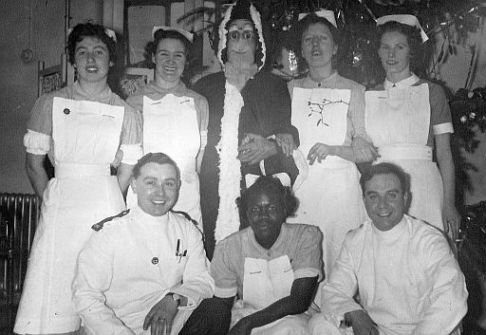 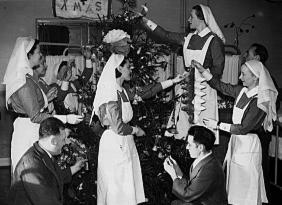 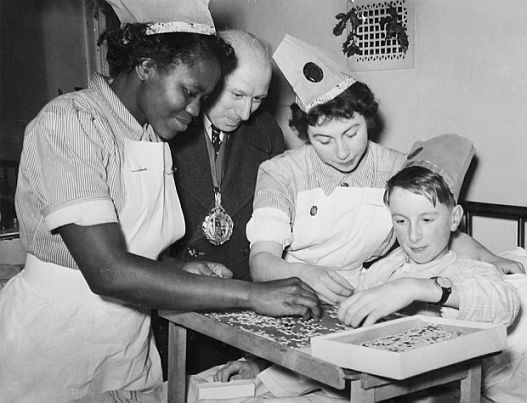 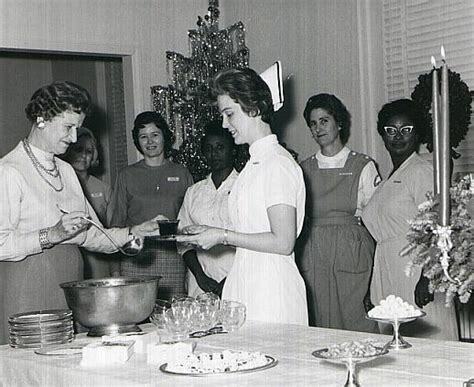 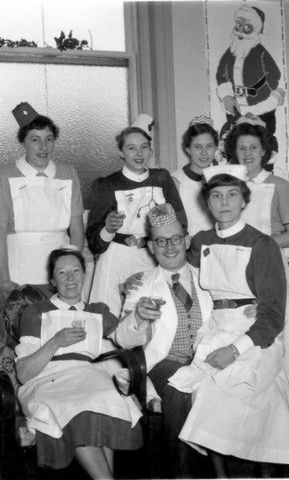 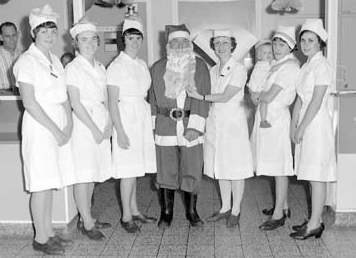 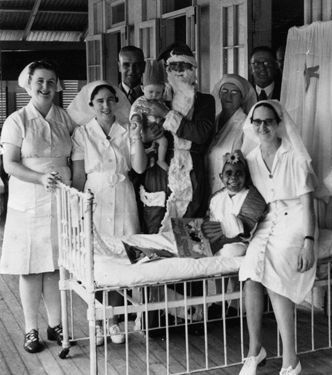 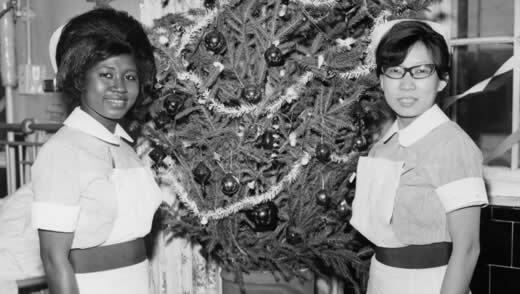 Photos of nurses and patients celebrating Christmas. 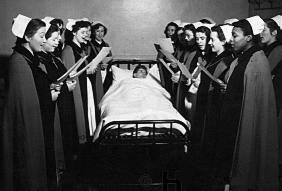 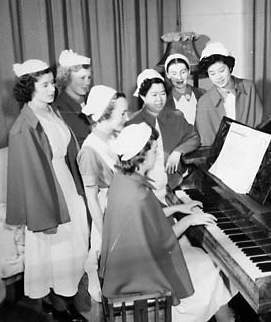 Nurses sing songs to children or the sick people. 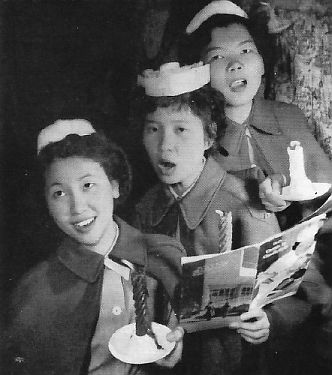 Pictures from Australia, Great-Britain, Hong Kong, Japan and USA. 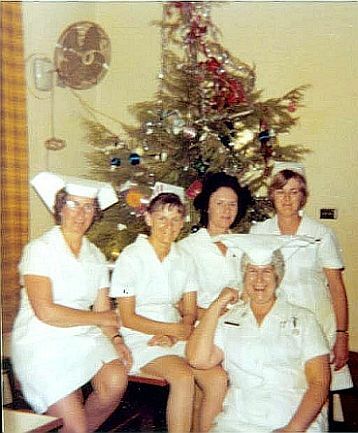 Getting in the festive spirit, Australia 1965. 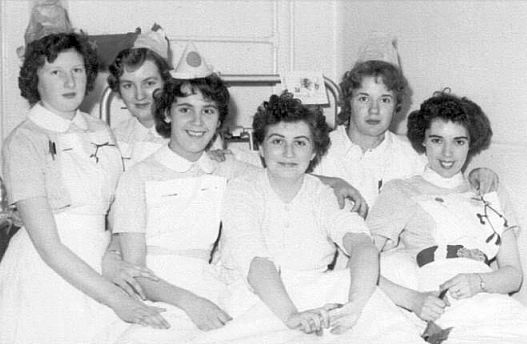 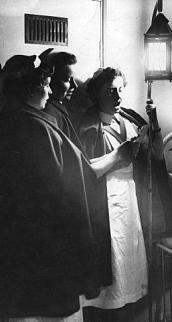 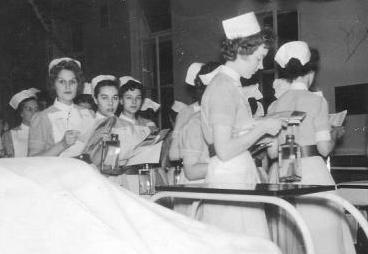 Canadian Nursing Sisters and patients, WW2. 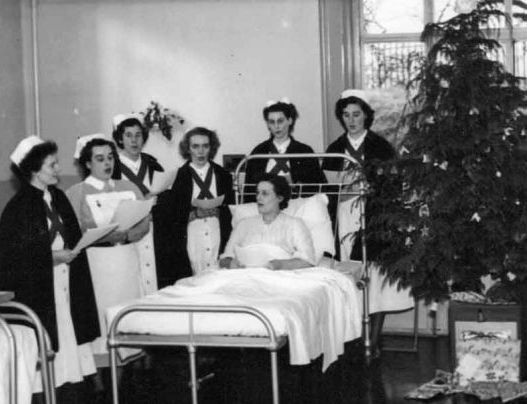 Carol singing Nurses from the '40s. 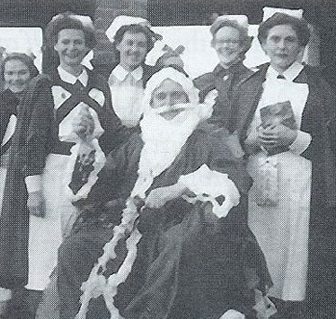 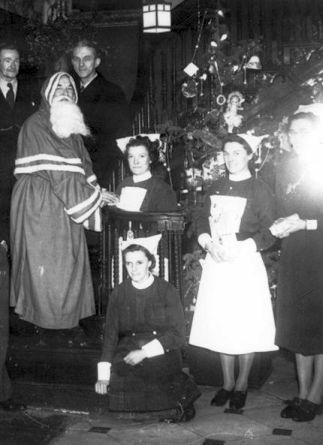 Santa and Nurses, UK 1944. 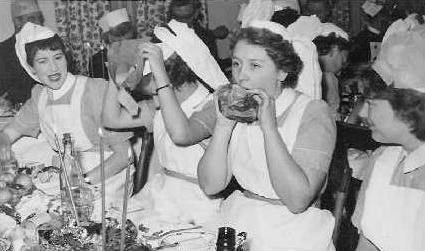 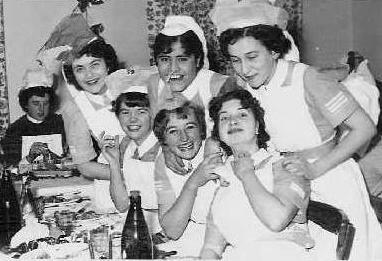 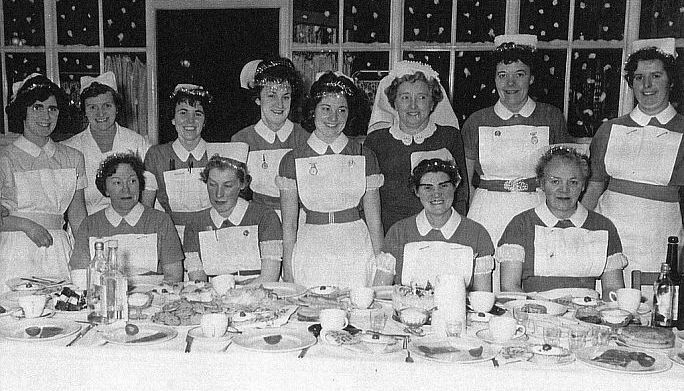 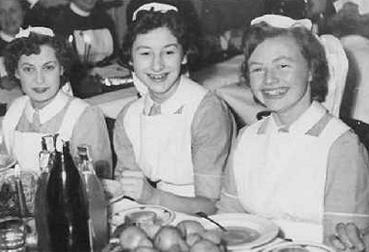 Nurses' Christmas Dinner, UK 1956. 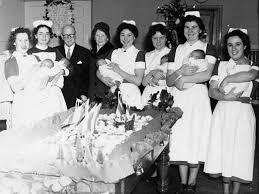 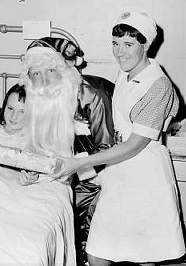 Christmas on the Childrens' Ward, Staffordshire 1960s. 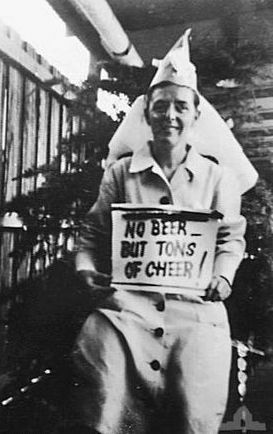 From Duncan. 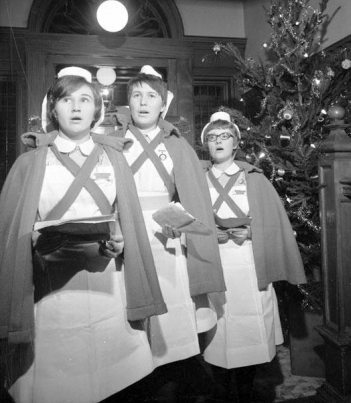 Nurses carol singing, Scotland, 1960s. 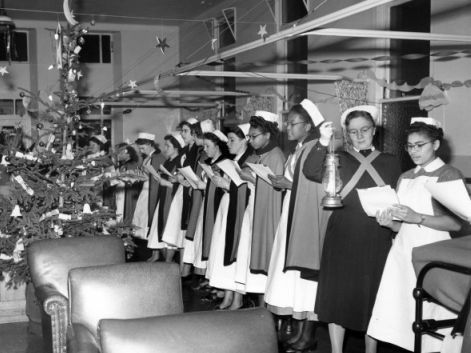 Carols on the ward, UK 1960s. 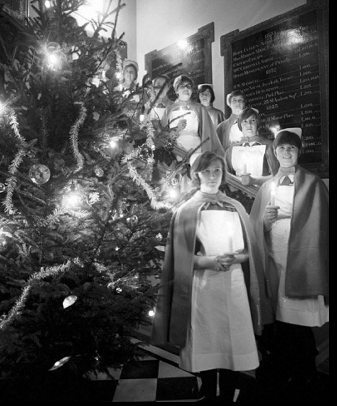 Ward Christmas Tree, UK 1960s. 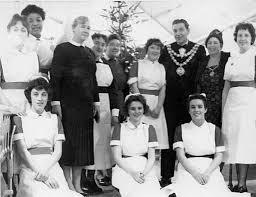 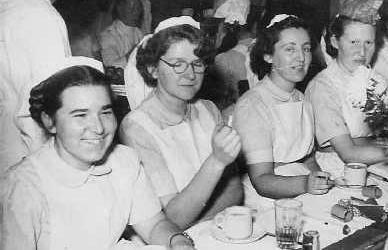 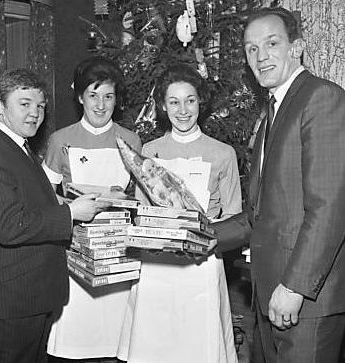 Henry Cooper and Nurses, 1960s.